Trafalgar Golf & Country Club is a semi-private club, offering memberships and pay-as-you-go play. The driving range boasts a large double grass tee deck which permits the teeing area to be moved every day. There are always plenty of balls and no nets. Seasonally adjusted hours during April, May, September and October. The range closes early on Sunday and opens late on Monday so a clean pick can be done and the range can be mowed. Trafalgar’s large putting green offers members a great opportunity to practice their putting. It is located in front of the clubhouse. Trafalgar’s chipping green is tucked away behind the Pro Shop. It is a full size regulation green with two bunkers and two approach areas. Its secluded location allows members to practice their chipping away from the maddening crowd. Trafalgar Golf & Country Club has a Carts in Fairways Only policy. The reason for this policy is the fairway turf is stronger and more suited for cart traffic than the rough is. 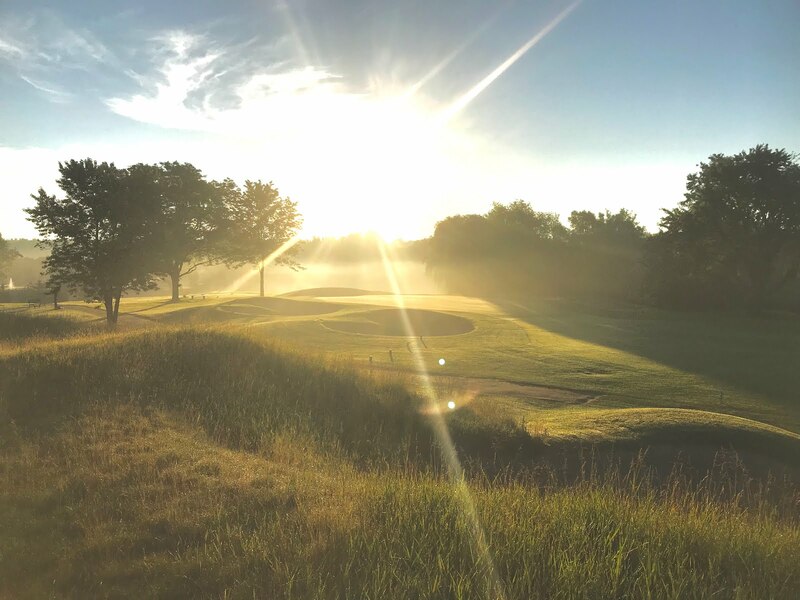 Carts travelling in the rough will be deemed to be in violation of the electric cart policy so please do your part and keep electric carts in the fairway thereby keeping our rough in good shape. In addition, all electric carts must enter and exit fairways at the grey stakes with white caps. Cart paths should be used whenever possible. Trafalgar has a small fleet of electric carts therefore carts must be shared within the same group, no exceptions. As always, please obey all all cart signs and ropes.